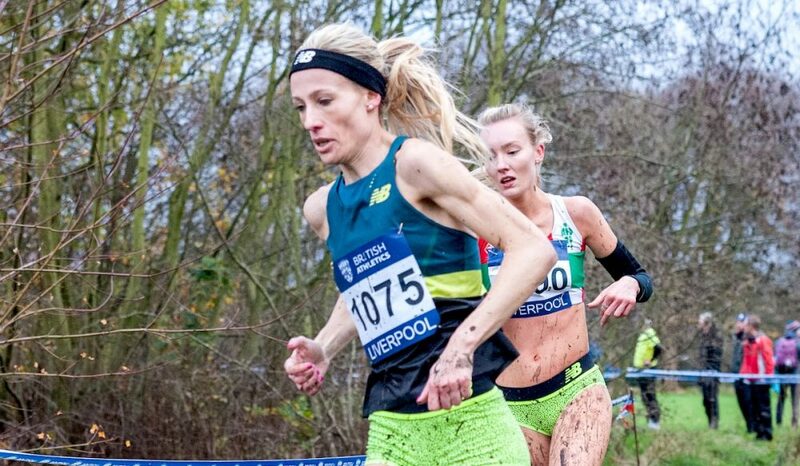 Elle Baker, who has represented Britain at six European Cross Country Championships, shares insights into her meticulously balanced schedule that combines running and cross training. The resilient Stockport star tells Fast Running how she’s built her training schedule with her coach, Dave Turnbull, including cross-training and gym work to combat injury and gain vital strength, alongside juggling it all with a job, regular physiotherapy and recovery. “I run 55 to 60 miles per week, which includes two sessions, usually on a Tuesday and Friday morning,” she reveals. “The main objective is to fit the main sessions in advance of races. 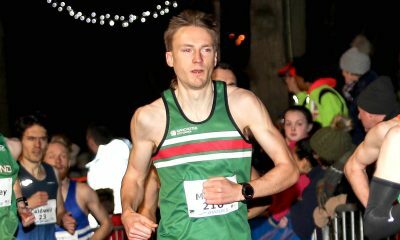 I find it hard to train on the track due to an Achilles problem, so we use the road and hill circuit loop at Woodbank Park in Stockport. Elle cites an example of one of her tough tempo sessions: “I run three miles out and three back progressively, starting at 6min pace picking up to 5.30min pace, getting gradually faster at each mile marker,” she explains. 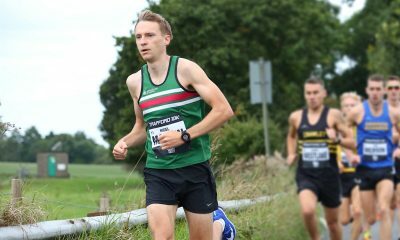 “The tempo session I did two weeks before the Liverpool trials was 3×2 miles at Norman Park, picking up the pace every mile. Balancing running with work and injury-prevention means she uses cross-training to fit enough miles in each week: “I do two cross-training sessions on a spin bike at home in the evening,” she adds. “They’re usually about 35 minutes long and act as a recovery run. – Dynamic flexibility exercises to warm-up. – Squats with bar, 50kg. – Single leg squats, 12.5kg kettle bell. – Core exercises including: Swiss ball, plank routine and an abs routine. – Seated leg press for the Achilles. 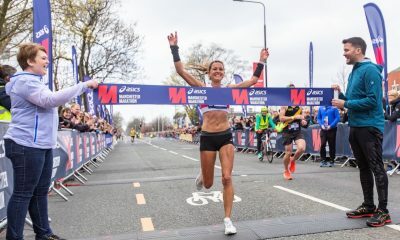 The New Balance-sponsored athlete works 18 hours a week in retail IT in Wilmslow, spending an additional four hours just to get there and back every week, meaning most of her training has to be squeezed in first thing in the morning. However, now she has left the Team NB training group in Manchester, she hopes to use her first class Hons Sports Science degree to get a more permanent career in the near future. Somewhat surprisingly for a top athlete, she has never had any professional help with nutrition and fuelling for training and racing. The Sports Science graduate relies on the knowledge gained from her degree, alongside key supplements to aid recovery: “I use SiS (Science in Sport) protein recovery drink after my two sessions and the two gym sessions, and SiS Electrolyte for hydration. In addition to the SiS products, the Stockport athlete emphasises another crucial part of her recovery is a fortnightly physiotherapy session with Howard Turner at Wilmslow Physio. “Luckily it’s just a three minute walk from work – he has a very hands on holistic approach to recovery,” she adds, an attitude it is clear the cross country specialist takes to her whole approach to running.